Be one of the 1,000 people to help remove 20,000 lbs. of trash and recyclables from our waterway! 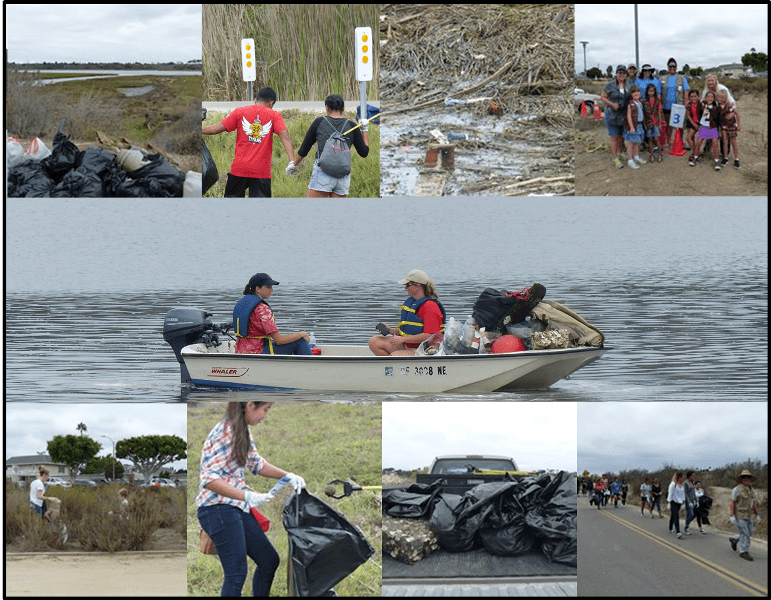 Coastal Cleanup Day at the Upper Newport Bay will be held on Saturday, September 17, 2016 from 9 a.m. to noon. For more information and to sign up click here. Most of the trash actually comes from inland communities, and gets carried to the coast through storm drains. The Upper Newport Bay watershed (the network of storm drains, rivers, creeks, and canals that all flow into the bay) covers 154 square miles, and encompasses the communities of Newport Beach, Irvine, Tustin, Orange, Lake Forest, Laguna Hills, Costa Mesa, and Santa Ana.